There are a number of ways people leave South Africa to live in another country. Citizens of South Africa and Permanent residents qualify to officially emigrate. Certain emigration allowances are allowed to be taken out of the country. On emigration, one ceases to be a “country resident” of South Africa. If a citizen or permanent resident merely leaves South Africa to live in another country but does not officially emigrate, pending approval by the South African reserve Bank, that person is still considered a “country resident” and does not qualify for the emigration allowances. That person will continue to qualify for the investment allowances afforded to “country residents”. Temporary residents who have temporary visas to live in South Africa do not qualify to emigrate because they were never citizens or permanent residents. However, they are usually allowed to take t heir funds out when they leave South Africa. A member who emigrates is entitled to have a pension paid to him or her in the country of emigration. However, a fund member, before electing to draw a pension, might prefer to take the pension benefit in cash. If a person was a member of an employer pension or provident fund before normal retirement age and decides to emigrate, the member may withdraw his or her benefit. There is no restriction. A member of a retirement annuity Fund (RAF) is not usually allowed to withdraw from an RAF before age 55, and on retirement is only permitted one third of the benefit in cash. The rest must be used to buy a pension. An exception applies if ta member officially emigrates or the member relocates on the expiry of a temporary resident visa. In this case, the member may withdraw the full capital amount. 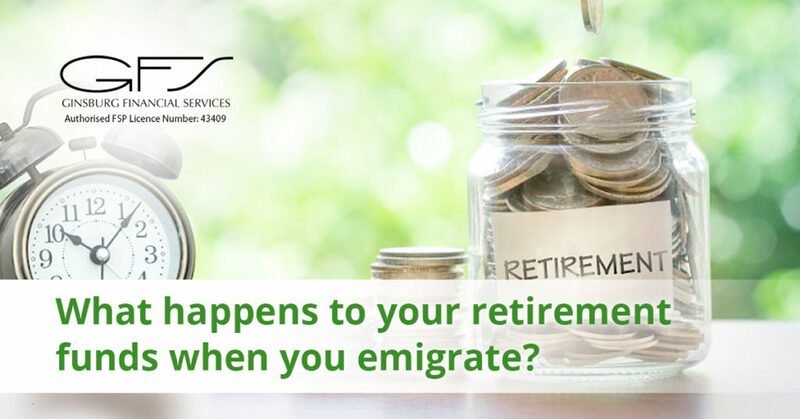 If a citizen or permanent resident relocates without emigrating, a withdrawal benefit of the lump sum is not permitted and the member may only retire from age 55. Advice from the exchange control department of your bank as well as a financial adviser should be obtained before a decision to withdraw is made. There are tax implications and the tax payable might differ depend on the timing of the withdrawal and where you are tax resident at the time of withdrawal. It is important to note that this does not apply to pensioners who are already drawing a pension or annuity income. Pensioners may have their retirement income paid to them in the country of residence but may not access the underlying capital.